NEW YORK - February 1, 2019 - THE CIRCUS: INSIDE THE WILDEST POLITICAL SHOW ON EARTH returns on Sunday, February 3 at 8 p.m. ET/PT on SHOWTIME, with President Trump enmeshed in a three-front war against Congress, the special counsel's investigation, and a growing crop of ambitious 2020 challengers. In the episode, titled “Circling Vultures," co-hosts John Heilemann, Alex Wagner, and Mark McKinnon examine a week of news featuring the launch of major Democratic presidential campaigns, mounting legal problems for the president, and questions about the strength of Trump's remaining loyalists. 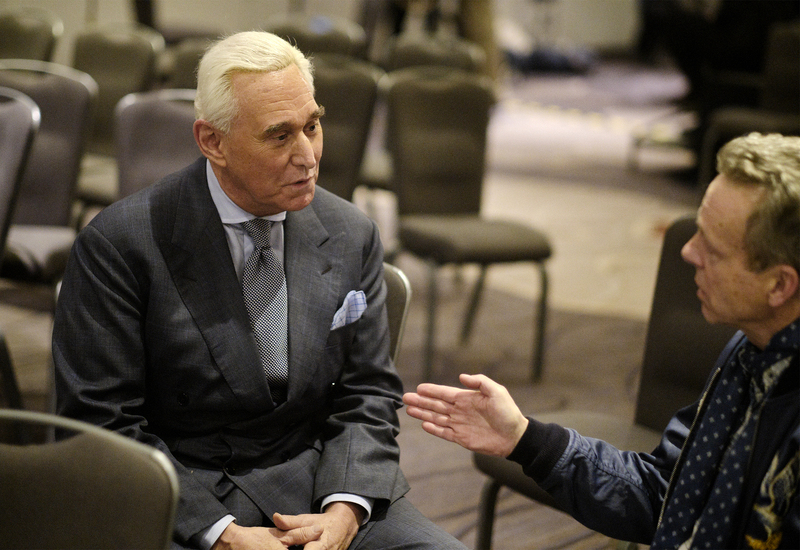 Following last week’s special counsel indictment, THE CIRCUS sits down for a new one-on-one interview with Roger Stone ahead of his Friday court appearance in Washington, D.C. In Oakland, the show goes backstage at Senator Kamala Harris’s (D-California) rally as she announces her run for the 2020 Democratic nomination. Hosts also catch up with two other presidential hopefuls: former New York Mayor Mike Bloomberg and former Starbucks C.E.O. Howard Schultz, who is considering entering the race as an independent. For a preview of this week’s episode, go to https://youtu.be/cVRmVlNFEa0.